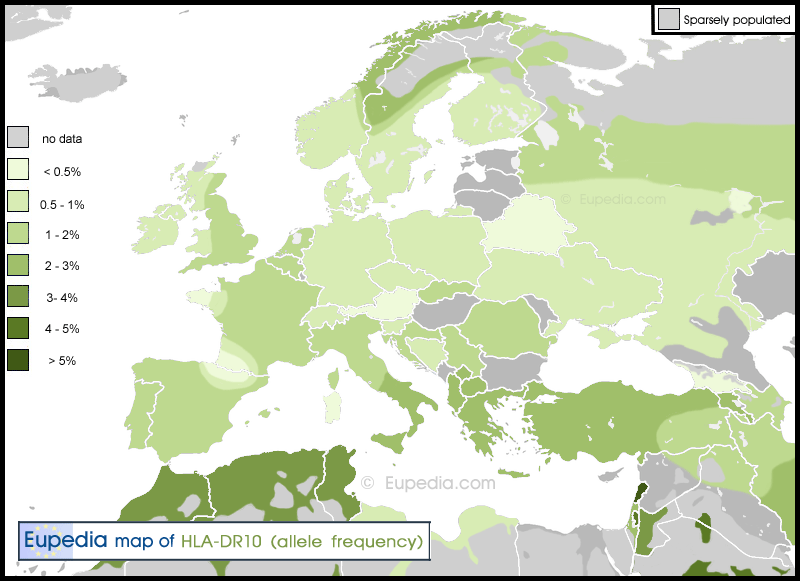 The maps on this page represents the distribution of Human Leucocyte Antigen (HLA) types. 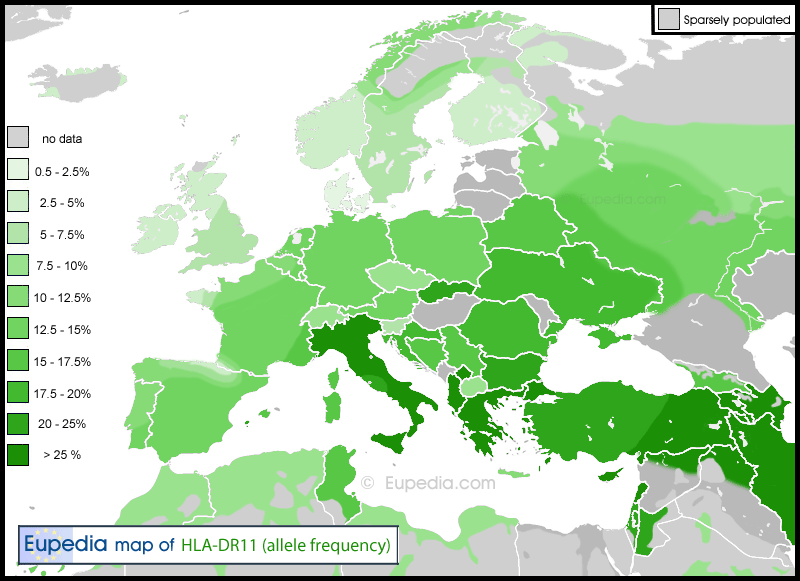 The HLA gene regulates our acquired immune system. It is what helps our body identify foreign antigens (bacteria, fungi, viruses) and determine what type of white blood cells and antibodies should be produced. 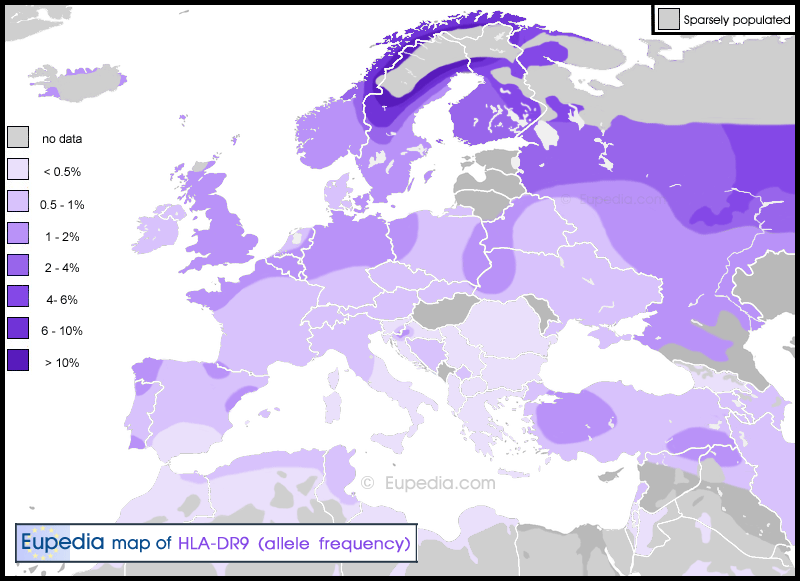 Depending on our HLA type we are more or less resistant to certain diseases and infections. HLA also influences our risk of developing autoimmune diseases like diabetes, multiple sclerosis, rheumatism, arthritis, hypothyroidism, psoriasis, Celiac disease, Crohn's disease, fibromyalgia, and so on. 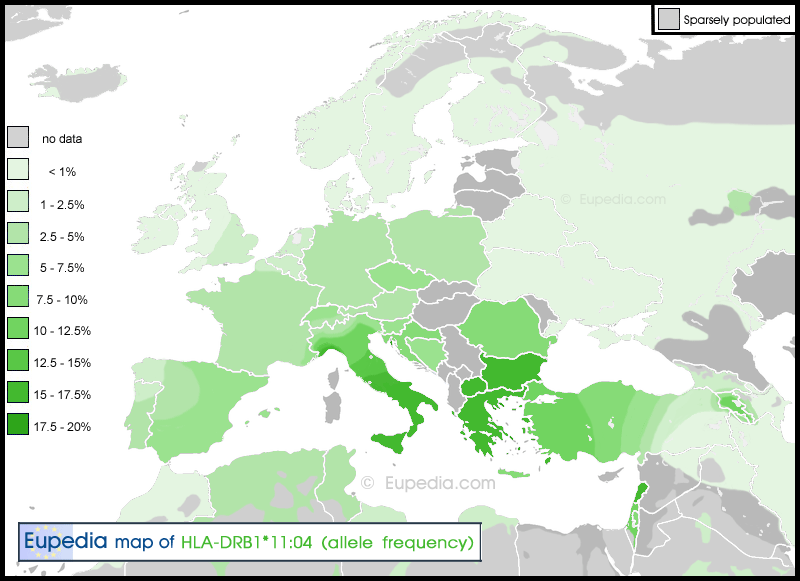 Class I HLA (A, B and C) deal with intracellular immunity, i.e. mostly viruses and some bacteria (e.g. 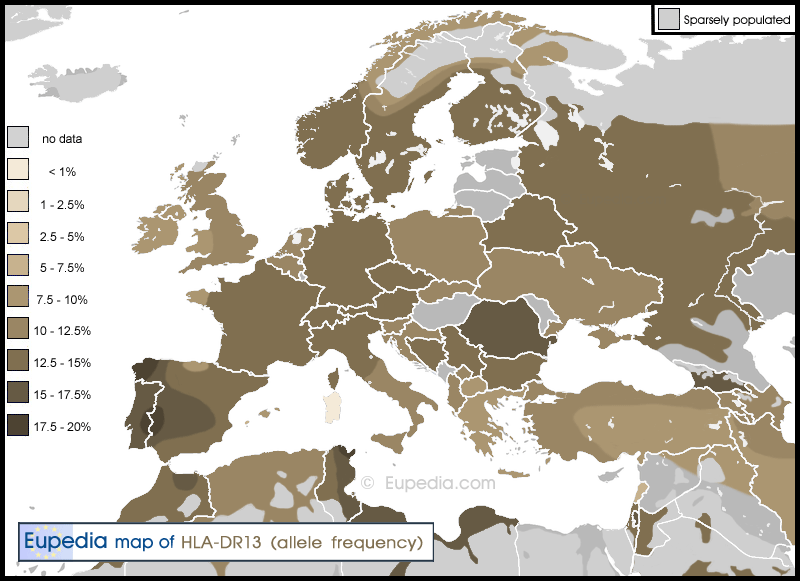 Chlamydia, Rickettsia, Mycobacteria, Mycoplasma). 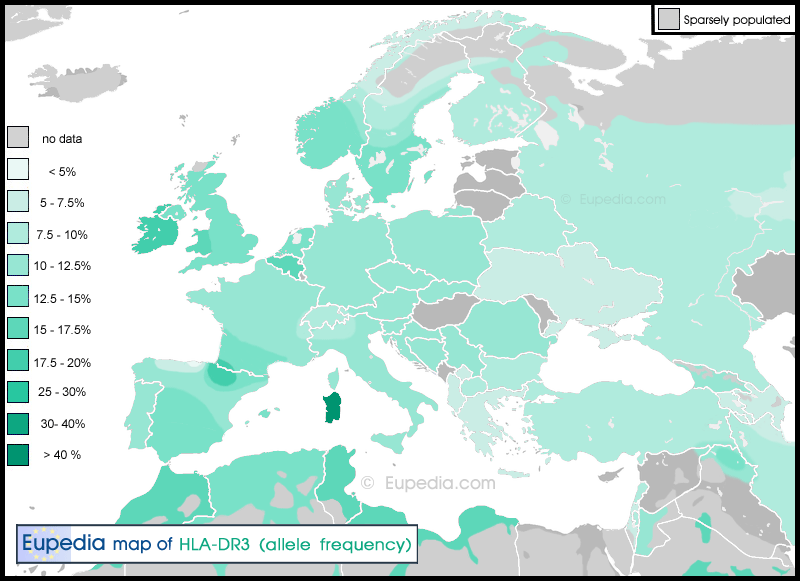 Class II HLA (DM, DO, DP, DQ, DR) fight off extracellular pathogens - mostly bacteria and fungi. HLA DM to DQ have little diversity, so the main determinant of extracellular immunity between individuals is above all HLA-DR. HLA-DR is subdivided in HLA-DRA (3 variants) and HLA-DRB (439 variants), but all useful variations are found within HLA-DRB, which has 23 types usually in European/Caucasian people. 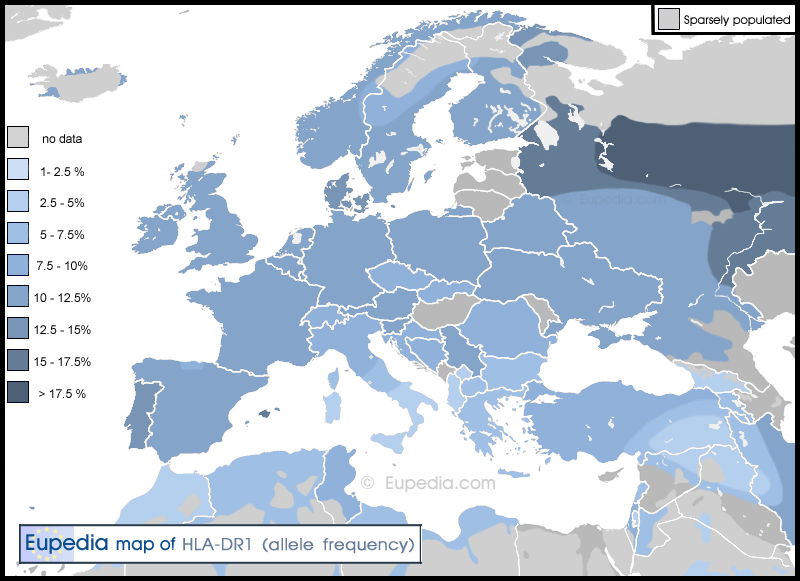 The short-hand HLA-DR always refers to HLA-DRB. 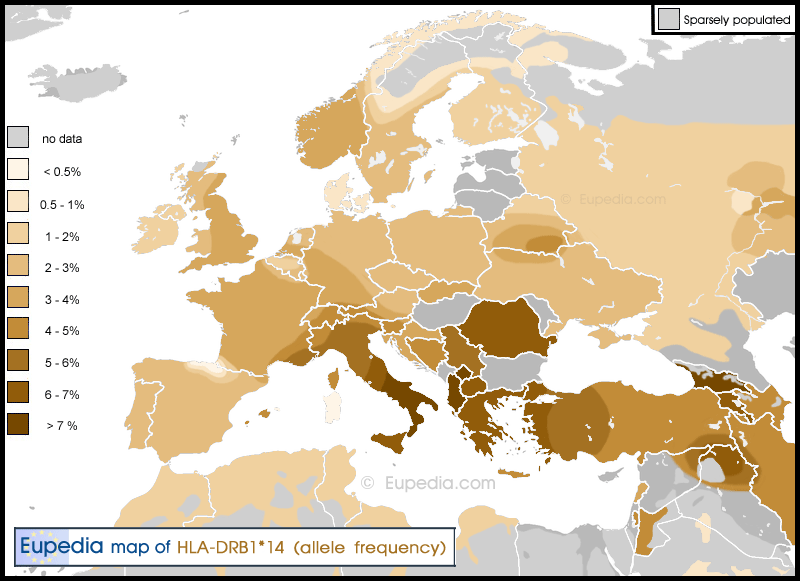 The following maps were compiled with all the latest available HLA data for each country. You can find the defining SNPs for each HLA type here. Note that there isn't any DR2, DR5 or DR6 anymore. 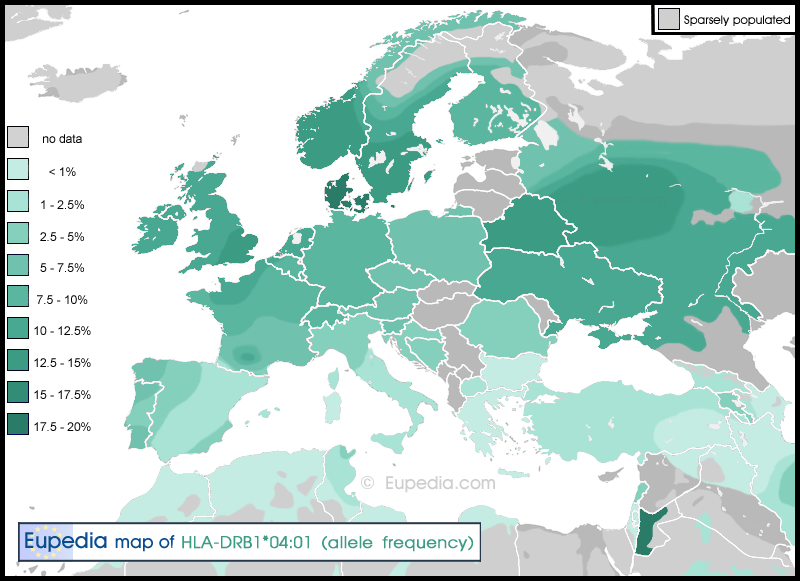 DR2 was split into DR15 and DR16, DR5 became HLA-DR11 and HLA-DR12, and HLA-DR6 was divided into HLA-DR13 and HLA-DR14.